Cookie's Kids » All » Summer Plans Start Now! Summer is a few months away, but smart parents know that now is the time to start planning. 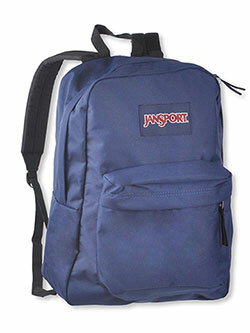 During the school year everyone is busy with schoolwork, sports, and a host of other activities. Summer grinds all that to a halt. Many families enjoy the change of pace as it allows for more family time. But if kids don’t have stuff to do, they get bored. And if they get bored, they get cranky. And if they get cranky…well, you know the rest. No one likes spending summer days cooped up at home, so check out how you can start planning an activity-packed summer for your kids! When the temperature starts to rise, any place with a strong air conditioner is a treat to visit. 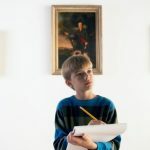 If there’s an art or history museum in your area, chances are they have a program for children. These programs often reasonably priced, since most museums are non-profit organizations. Local libraries often put together reading and other activity groups for kids. Even if your child doesn’t like the idea of being in a “class” over the summer, encourage them to check out the list of programs with you. Many are way more fun than what they’d be doing in school, and can encourage their interests in a more personalized way than school. Local pools, lakes, beaches, and other waterside attractions are perennial summertime favorites. But, like anything, if you do watersports, it’s worth doing the right way. 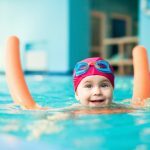 If your children don’t swim yet, now is the time to sign them up for lessons. Look online for local pools and classes. Your children will thank you when they’re outswimming their peers. . Whether going on a hiking trip in the mountains or a jaunt to the beach, summer is the time to plan trips with the family. There are many low-cost options for outdoor trips, but whether it’s gas for the car or a new tent, family trips all end up costing something. If you start planning summer trips now, it’ll allow you to budget more effectively – which means extra money for ice cream. Even if you have summer plans every weekend, you’ll still probably end up at home a lot with your kids. Stocking up on books, movies, video games, board games, and other in-home activities our kids can do when you’re not around is a smart move. What’s more, now is the time to get summer wear at the biggest discounts of the year. Swim trunks, anyone?